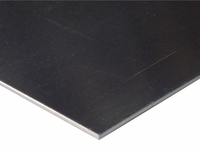 5052 Aluminum is a strong aluminum and has very good corrosion resistance. It can be easily worked, welded, and offers fair machinability. 5052 has good resistance to saltwater atmospheres.